When was the last time you used a film camera to take photographs? 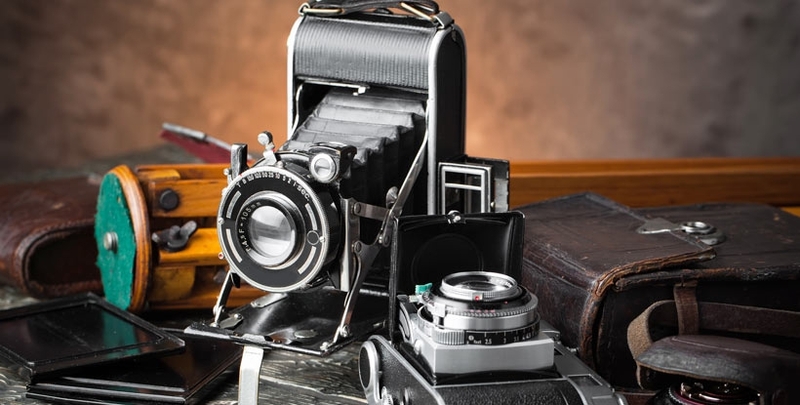 With the digital camera becoming so prevalent the old film camera’s are becoming more and more defunct, so as the way of many thing they are becoming collectable. Go with the rules of if it feels like quality it probably is and it is probably worth popping us a quick email or nipping in on valuation day. Bolex, Nikon, rangefinder, Leica, Zeiss, Pentax, 16mm , 35mm , large format, lens, TLR, SLR, Rolleiflex, screw mount, Pentar, Hasselblad, Contax.